At more than 150 million people, Muslims are the largest Indian minority but are facing a significant decline in socio-economic as well as political terms – while waves of communal violence have affected them over the last twenty-five years. These developments have resulted in the formation of Muslim ghettos and Muslim slums in places like Ahmedabad and Mumbai. 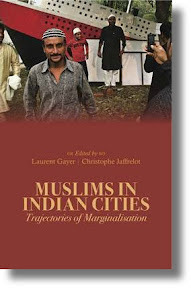 But (self-)segregation also played a role in the making of Muslim enclaves, like in Delhi and Aligarh, where traditional elites and the new Muslim middle class searched for physical as well as cultural protection through their regrouping. 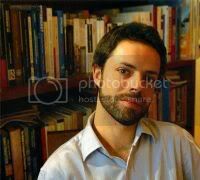 LAURENT GAYER is a research fellow at the Centre National de la Recherche Scientifique (CNRS), currently posted at the Centre de Sciences Humaines (CSH) in New Delhi. He is also research associate at the Centre d’Etudes de l’Inde et de l’Asie du Sud in Paris. CHRISTOPHE JAFFRELOT is research director at CNRS and teaches South Asian politics and history at Sciences Po (Paris), as well as at King’s College, London. From 2000 to 2008, he served as director of CERI at Sciences Po and is arguably one of the world’s most respected writers on Indian society and politics. His publications include The Hindu Nationalist Movement and Indian Politics: 1925 to the 1990s; India’s Silent Revolution: The Rise of the Lower Castes in North India; and Dr. Ambedkar and Untouchability: Fighting the Indian Caste System. Profile page.